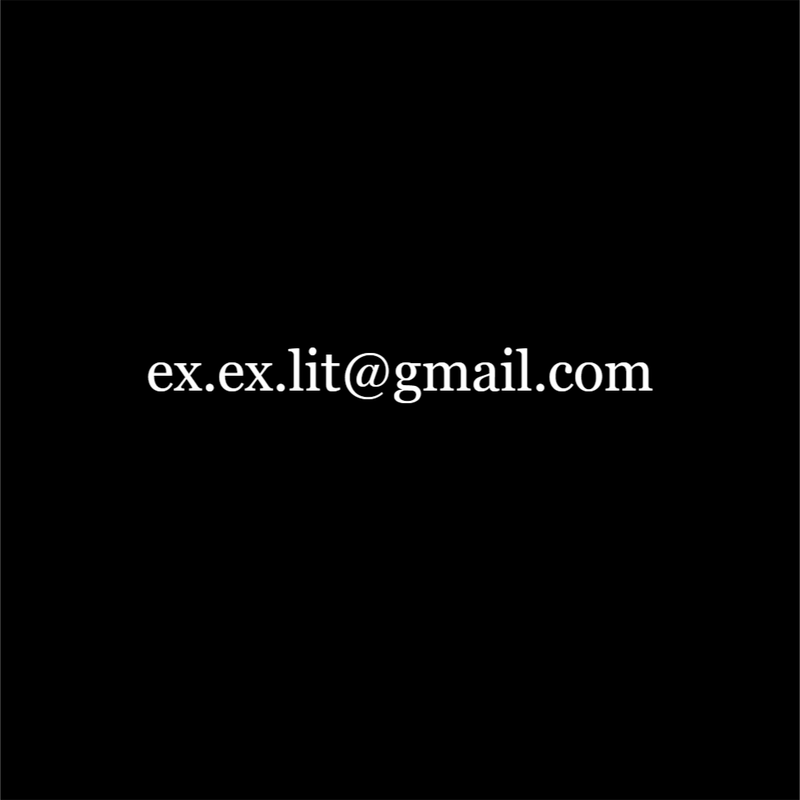 What kind of work is Ex Ex Lit looking for? Ex Ex Lit is looking for the texts that change the conscious parameters of literature, both for readers and writers. It means - something that goes beyond common perceptions and challenges the conventions. For more - read the blog. Now that blogger has included the ability to reproduce fonts more accurately, alpha-numeric visual-poetry will be welcomed for consideration. We examine all work received and accept that which seems the best. Does Ex Ex Lit accept previously published material? Send texts to Volodymyr Bilyk at ex.ex.lit@gmail.com for consideration.